As a society, we have become over-reliant on “ready made” products. We have lost the ability to make things from scratch. Rather than blend up some peanuts to make delicious, tasty and fresh peanut butter, we’ll spend many dollars on a jar from the store that contains artificial preservatives, unnecessary packaging and that simply lines the pockets of huge, unethical multinational corporations. 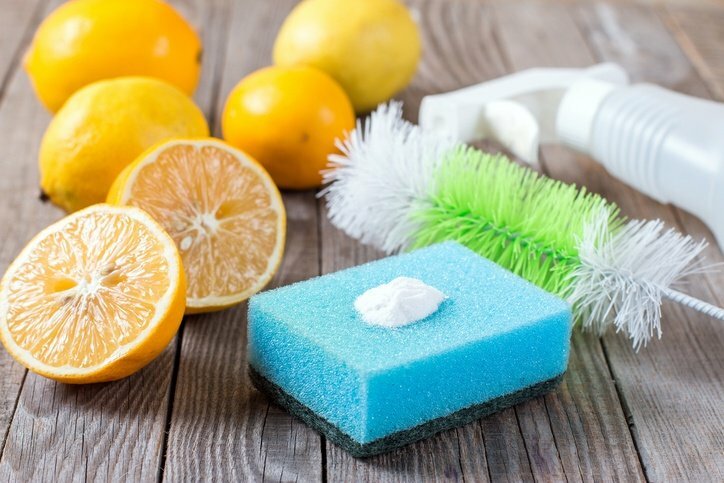 Aside from foods, you can also make your own personal care products, beauty and make up products, cleaning products and home accessories that taste, work or look better than store bought, without the harmful chemicals and toxins and free from excessive, earth damaging packaging. Homemade Ketchup – This ketchup won’t brake the bank, tastes better than the real deal and contains no added sugar – so it’s nutritionally good for the whole family. Homemade Mayonnaise – This is a great recipe for any mayonnaise lover out there wanting to make their own at home, it’s simple and easy and tastes better than the store bought versions. Peanut Butter – It is so simple to make this pantry staple it would be silly to buy it. With only 3 ingredients you can make a simple tasty Peanut Butter for your whole family. Simple Loaf Of Bread – This is a classic recipe for you to make and stop buying your normal weekly loaf of bread – nothing beats the smell of freshly baked bread. Saving you pennies and preservatives. Homemade Butter – Instead of buying preservative laden, calorific heavy butter from the store, make your own butter with just 4 ingredient and a standard kitchen mixer…so simple yet so tasty. Homemade Yoghurt – This recipe makes a thick and creamy yoghurt that would rival any store bought version. Once you learn this method you won’t be buying it again! Salad Dressing – This simple recipe for homemade salad dressing will jazz up any old salad and make it fabulous. Forget the store bought versions, get your aprons on and get making. Homemade Maple Syrup – This classic sauce is so expensive nowadays, did you know it is so simple and easy to collect your own!